It was only a month back when Kia Malaysia launched the all-new Picanto GT-Line. It will join the existing EX trim and will be available in three colors. Like other cars from the Kia family, the Picanto too is a premium and feature loaded car, even though it is the smallest offering from the brand. This entry-level hatchback adorns a cute and out of the box design philosophy which makes it stand out of the crowd. The interior layout is quite distinctive as the exterior, which makes it a unique offering. And when it comes to build-quality and level of kit on offer, it really is right at the top of the game. 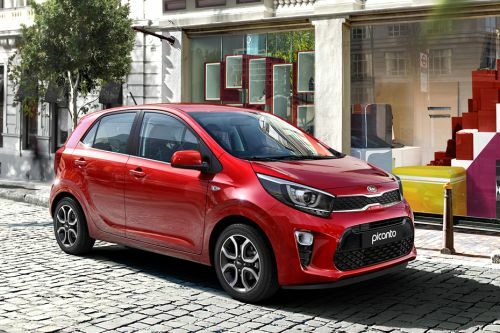 For the Malaysian market, Kia has relied only on one powertrain option for the Picanto – a 1.2-litre four-cylinder petrol engine. Available with a 4-speed torque converter, the engine is good enough to produce 84 PS of maximum power output and 121.6 Nm of peak torque. Have a question on Picanto? Picanto is available in 5 different colors - Titanium Silver, Clear White, Honey Bee, Lime Light and Pop Orange. The smallest of all the vehicles in Kia’s entire portfolio, the Picanto makes a strong case for itself. The small five-door hatchback is one of the most premium and feature-rich hatchbacks in its segment. The Kia Picanto is available in three different variants – 1.0 SL, 1.2 SL, and 1.2 GT Line, and in eleven color options – Clear White, Sparkling Silver, Alice Blue, Titanium Silver, Aurora Black Pearl, Shiny Red, Milky Beige, Celestial Blue, Pop Orange, Lime Light, and Honey Bee. On the inside, the Kia Picanto takes its premium appeal at a whole new level, thanks to the impeccable build quality and the long list of features it comes blessed with. The rounded theme for the steering wheel with buttons for audio and Bluetooth on them look cute, however, the instrument console behind the steering wheel has a boring layout and fonts. The centre console looks quite unique due to the long thin strip of silver garnish running above the horizontal AC vents at the centre, which ends up just above the glove box. The floating type touchscreen infotainment system packs in all the modern features, including Apple Carplay and Android Auto. The Picanto also offers features like electrically adjustable and foldable rear view mirrors, height adjustable driver’s seat, tilt adjustable steering, and keyless entry. However, considering the short wheelbase of the Picanto, the rear seat space is quite low with limited legroom on offer. The Picanto blends in the aggressive design language of Kia’s other bigger vehicles effortlessly with a charming theme, which sure is meant to impress the younger set of buyers in the crowd. At the front, the Kia Picanto gets the brands traditional “tiger nose” grille, in a sleek and horizontally stretched manner. The large headlamps come with projector units and daytime running LEDs within them, which along with projector fog lamps at the front make the Picanto look premium when viewed head-on. The side profile of the Kia Picanto lacks any kind of visual drama and is designed quite in a simple manner. The multi-spoke alloy wheels have an impressive and extrovert design, though. The rear of the Kia Picanto looks minimalist, thanks to a simple rear hatch with C-shaped LED tail lamps on the outer edges of the hatch. The rounded trapezoidal housing, as well as vertical shape for reflectors and reverse lamps in the rear bumper, make it look trendy. Just like any other urban hatchback, the Kia Picanto sits on a monocoque frame and gets MacPherson Struts with Stabilizer with Gas Type Shock Absorber and Coil Spring at the front and Coupled Torsion Beam Axle with Gas Type Shock Absorber and Coil Spring at the rear. Given its prime usage in city conditions, the steering, as well as suspension setup, are on a softer side for effortless drivability. While the GT line variant gets 15-inch alloy wheels, the lower variants ride on smaller wheels. On the powertrain front, the Kia Picanto is being offered with two engine options, both of which are petrol powered. The smaller 1.0-litre three-cylinder engine produces 67 PS of power and 97 Nm of torque and is coupled to a 5-speed manual gearbox. On the other hand, the bigger 1.2-litre four-cylinder engine pumps out more punch with 84 PS of power and 124 Nm of torque and is coupled to a 4-speed automatic gearbox only. For a car of this size and price point, the Kia Picanto is impressively equipped with premium safety features like front, side and curtain airbags, ABS with EBD, Brake Assist, Electronic Stability Control, Traction Control, Hill Start Assist, and reverse parking sensors. The Kia Picanto might be small in size, but it is high on aspirational value, considering the fact that it is quite loaded with premium comfort, convenience, and safety features. It also displays a sturdy build quality. The engine performance and ride and handling are decent enough to make it a great choice for first-time car buyers. What are the Safety Features Available in Kia Picanto?